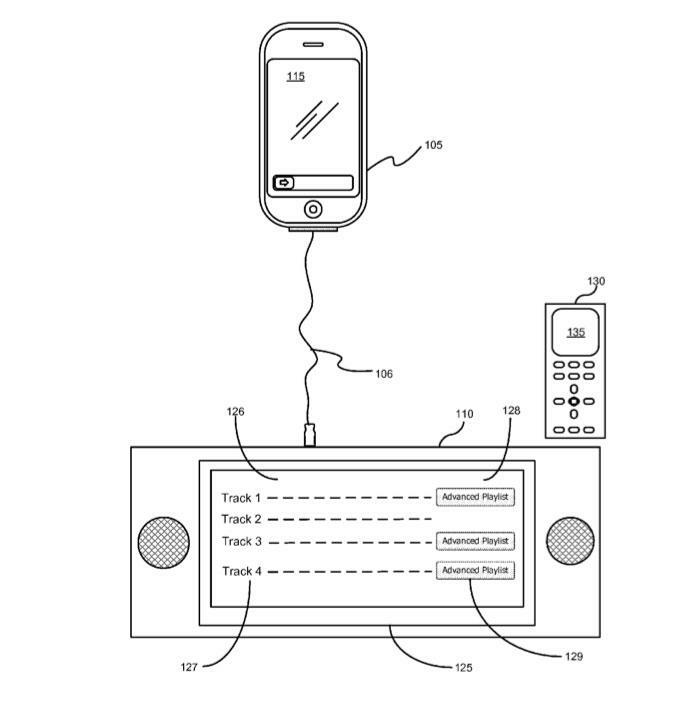 As Apple prepares to unleash its new AirPlay and AirPrint wireless standards this fall, details on the technology and what functionality it might gain in the future were detailed in a plethora of patent applications revealed this week. 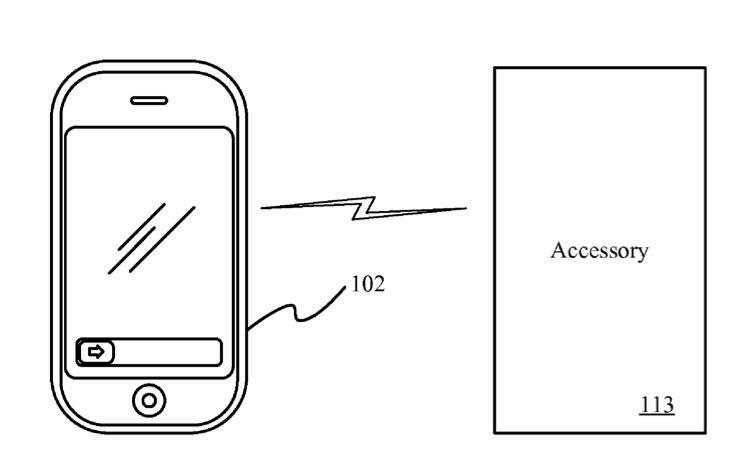 A total of 11 patent applications this week deal with wireless and wired communication with external accessories. They describe features that will be included in Apple's forthcoming AirPlay and AirPrint standards, including the ability of third-party accessories to receive data —such as music, album art, playlists and print jobs —wirelessly from an iOS device. The applications include references to multiple potential external accessories that could communicate with a device like an iPhone. Many of them have already been established with the forthcoming AirPlay standard, including external speaker systems, video players and other multimedia devices. Some, however, suggest Apple's short-range wireless capabilities could expand to new areas, including home appliances (like a refrigerator or dishwasher), exercise equipment, security systems, home or office automation, cameras, user input devices (a mouse or game controller are mentioned), measurement device, medical devices, or automobiles and automobile accessories (like a car stereo system). AirPlay and AirPrint will represent a major change for Apple, letting device makers into the company's ecosystem in a way never before allowed. The move has cleared the way for accessory makers to accept wireless media and data streaming from iOS devices with functionality built into the mobile operating system itself. AirPlay promises to greatly expand the number of external devices and accessories that the iOS ecosystem can communicate with. In addition to Apple's own redesigned Apple TV, AirPlay has also been opened up to third-party device makers, including BridgeCo, Denon, Marantz, JBL, iHome and more. And AirPrint will also be immediately compatible with a number of HP-branded printers. With AirPlay, users will be able to easily and quickly stream content to devices like receivers, stereos and televisions. It will allow users to play content, such as movies, photos or music, on an external device. AirPrint, announced this week, allows an iPhone, iPod touch or iPad to print documents directly to a compatible printer, as well as with printers shared via a traditional computer. But with an AirPrint-compatible printer, the iOS device communicates directly with the accessory. "Remote Access to Advanced Playlist Features of a Media Player:" Playlists can be generated based on a "seed" song selected by a user, and third-party accessories can access, edit and play the playlist remotely. "Accessory and Mobile Computing Device Communication Using an Application Communication Protocol:" A generic accessory protocol, allowing communication with multiple external devices. "Application Communication with External Accessories:" Allowing accessories to control applications and features of a portable device. "Detecting and Processing Button Press Events for Performing Electronic Device Operations:" Granting physical controls to external accessories, such as media control playback or volume. 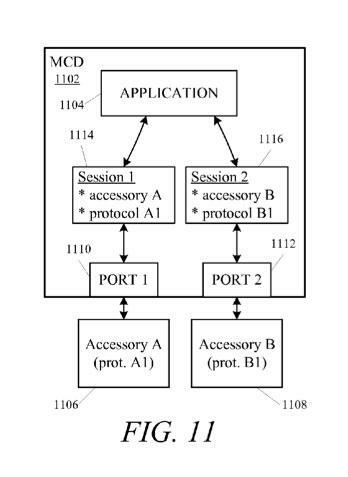 "Accessory Interface to Portable Media Device Using Sessions:" Communication "sessions" between accessories and applications would allow for multiple accessories to be connected to a device at once. "Accessory Identification for Mobile Computing Devices:" Using unique "lingo" that allows a mobile device to quickly identify an accessory. "Accessory Transceiver for Mobile Devices:" An accessory that might allow users to connect their device to multiple networks, or access wireless data that is not compatible with the radios in a current device like the iPhone or iPad. "Accessory Identification for Mobile Devices:" During an identification phase, an accessory can communicate protocol information to a mobile device. "Automatic Identification of Compatible Applications and Accessories:" Upon connecting with an accessory, a device recognizes the application that is meant to accompany it, and only allows the accessory to work with that application. "Connection to Multiple Accessories with Multiple Accessory-Specific Protocols:" Allowing a mobile device to maintain communication with multiple accessories at once. "Mobile Computing Device Capabilities for Accessories:" Determining the capabilities and limitations of an accessory when it is linked to a mobile device.